Margaret Bell has been potting for many years. Several years ago we exchanged pots. I got this fabulous vase that has been used over and over again. 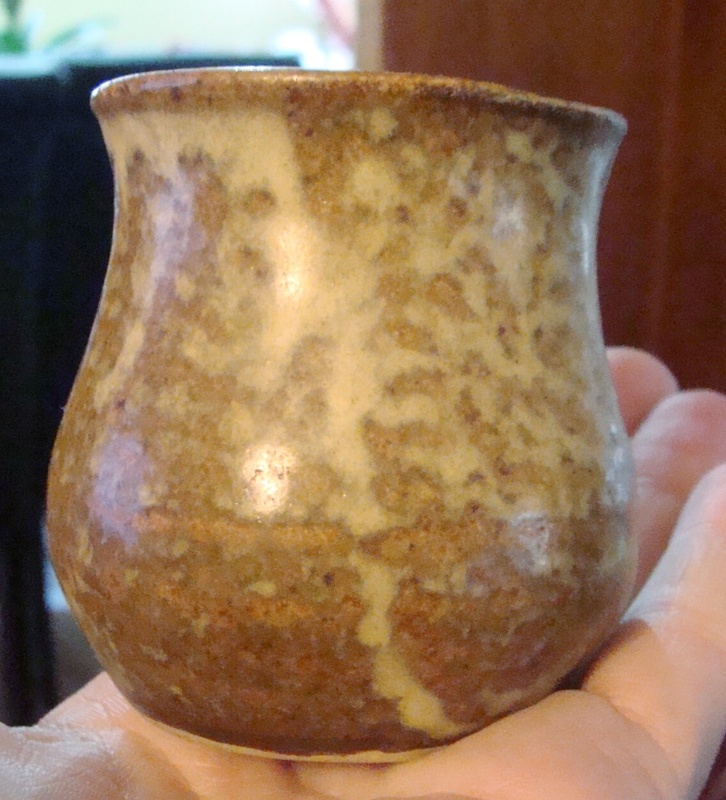 It is from her stoneware days and I love the breaking blue glaze. In return I gave Margaret a Japanese lantern that she admired. 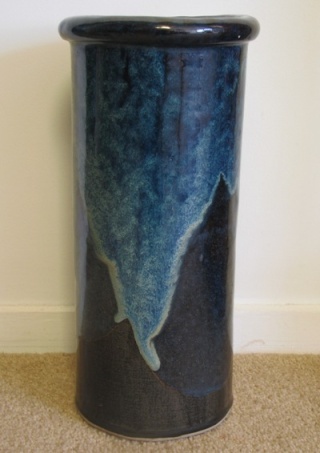 Margaret was one of the Editorial Team for the Marks of New Zealand Potters book. 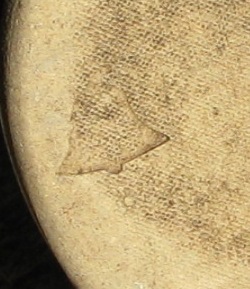 Margaret has used several marks over the years. 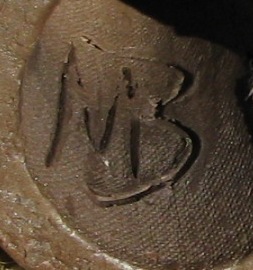 This mark is on the large vase ..
and this mark is on a more recent piece that I have ..
Is this a Margaret Bell pot? Dinky little pot with an impressed bell on the base, different from the one in the gallery, but I thought it could be one of hers. Cool! She's welcome to my pic if she wants it. Thanks Ev. Don't forget to put this mark in the gallery too! One of four at Orewa Red Cross: I chose my favourite. The quality of the marks varied and it took a little time to get my head around the mark. 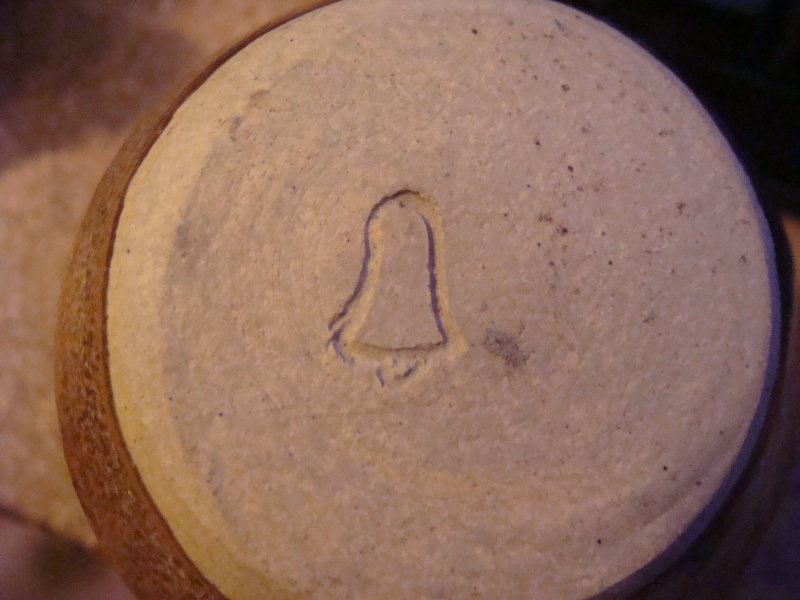 Once I saw it was a bell I knew who it would be. Another pleasant surprise. A quick look in this topic showed me similar work. Ev, could you please confirm that this us Margaret's work. 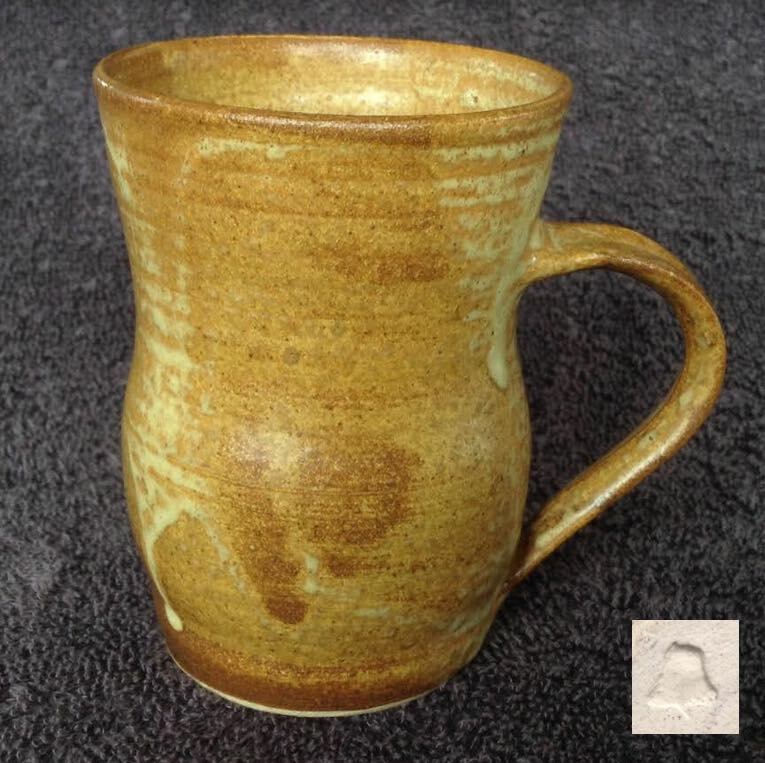 The shape of this mug is very similar to the "inverted bell" beakers. Is this a coincidence or the wit of the potter? Surely a coincidence as all of the mugs have this non-descript shape look. I find it easy to identify her work, though I don't see her any more I did see her for about 40 years and one cannot forget what they saw.